We weren’t even testing for that. Don’t let that horrible-person thing discourage you. It’s just a data point.” Hey Ho! 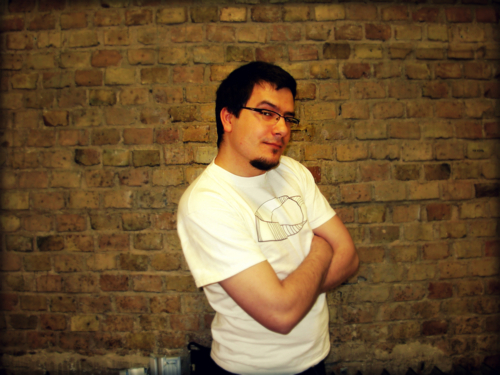 A nice read for the evening - have a close look at one of our devs! Meet Jacek! A Night Owl. I hate getting up in the morning. Sometimes, when I can, I stay in bed till noon! That Diablo III was done in 7 hours. I like to quote stuff from movies / serials / games. I guess it’d be my MacBook. Every person who is involved in technology has something unique, therefore you can’t specify one guru. A sense of humor. It always works better. Ruby - since I found it, I’ve loved it. Python - haven’t tried it. Java - wrote some stuff, I’d say it’s fine. I’ve always loved building up from scratch, but it has really often ended up with unfinished works. I’ve always wondered what it would be like to experience the Lord of the Rings adventure. Polish press ( onet, wp, gazeta), wykop.pl and some silly ones to have a little laugh, like kwejk.pl or explosm.net.